I have worked with numerous individuals, companies and non-profit organisations throughout Europe, the Middle East, North America, Asia and Africa. Abbot, AstraZeneca, Bayer, Belgacom; Calefax; Copaco; deMENSEN; DHL, ENEL; FUJIFILM; Great Place to Work, MSD; Heerema Sealife; ING; Rabofarm; Roche; SDU; SINIAT; SOVAK; UBISOFT; Vopak Agencies; WELLA; Yask; Zorgbalans Haarlem; Amsterdam Medical Centre; ANWB; the Dutch Filmfund; Royal Dutch Dental Organization; Regional Council for Schiphol; Pension fund Catering industry; Trivire; Zinnergy Enschede; the Dutch Ministeries of Education, Internal affairs and Economic affairs, Flemish Ministery of CJSM; Dutch Vehicle Licensing Authority; Province of South-Holland; Drenthe; municipalities of Amsterdam; Eindhoven; Paris; Rome; Rotterdam; Safety region Brabant South-east; University of Utrecht; Wageningen University; Tilburg University; Fontys Hogeschool; the Shipping- and Transport College Rotterdam; Koning Willem I College, Marnix Academie; Essenzo Business School; Alfa College; Stella Maris. Have you ever done a ‘bike and hike’ to re-imagine your future? Walking and nature are excellent accelerators of creative thinking. Participants from the conference “Out of Office Inspiration” now know how well that works. 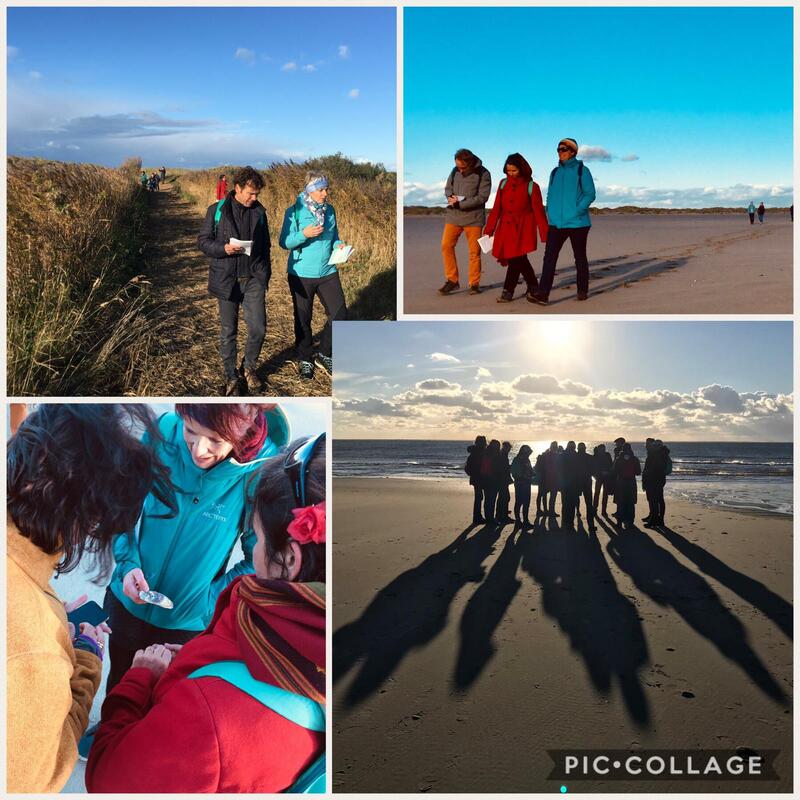 They have discovered the amazingly beautiful and versatile landscape of Texel’s southwest tip. Observing the scenic dunes and the vast beach worked as a metaphor to come up with ideas. They experienced how the diversity in environment helps to go through the four steps of the creative process. The immersion in the landscape has given them ideas to realize their vision of the future. From wish to the first two ‘tiny steps’ in three hours. Sometimes Out of the Office just works better. 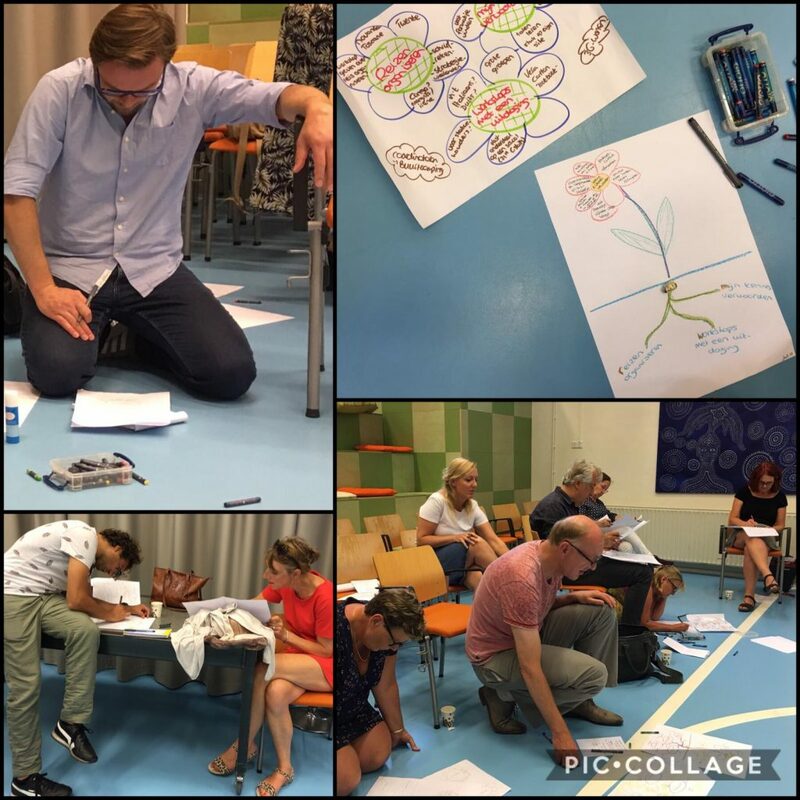 The Floaters, a network of facilitators of the city of Amsterdam, closed the season on July 18 with a last monthly meeting before the summer holidays. Summer break is a perfect moment to investigate the status of your growth. They drew on nature as an inspiration source, by delving into the way in which plants grow. Plants always grow thitherward where they can best catch the light. The degree of growth and amount of harvest depends at the same time also from how a plant is rooted. The manner in which plants grow has been used as a metaphor to visualize how they have rooted professionally by what they’ve done and achieved in the past season. And moreover: where they’d like to prune and how they’d like to continue to grow. 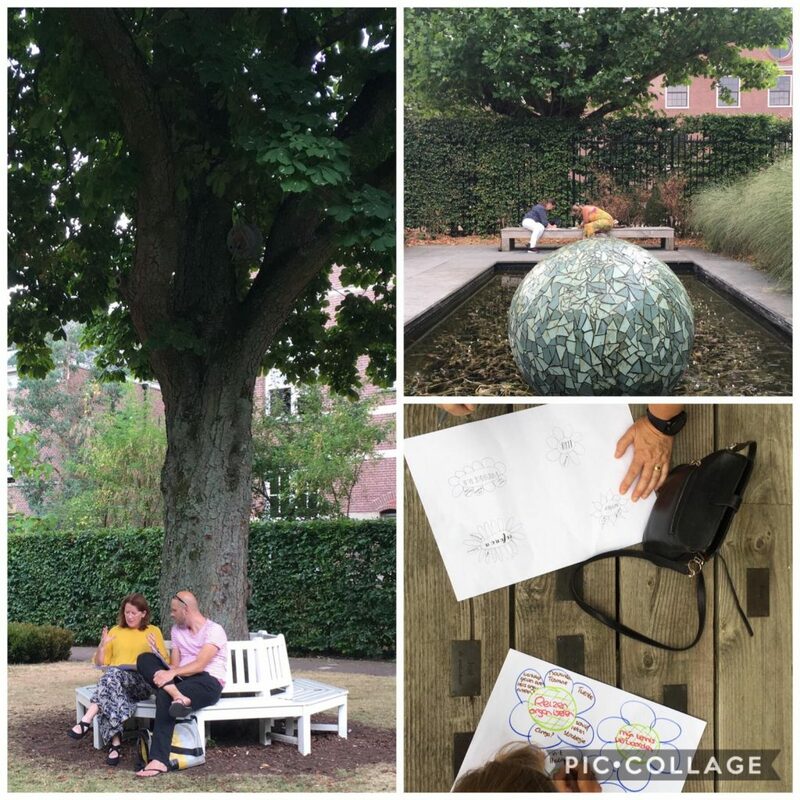 During a so-called wonderwalk in the courtyard of the Hermitage they have picked up inspiration to think up ideas about how their growth will look like. And developed the appealing ideas till a future sketch -an attractive horizon towards where they’d like to grow. From the sketch the participants distilled the first couple of steps to get started. And the cherry on the pie? A kind piece of advice to oneself. 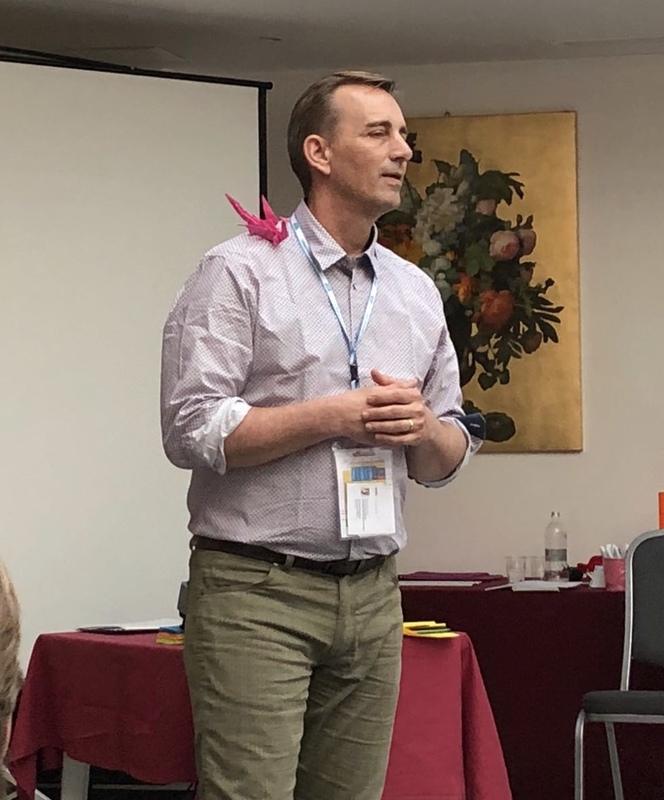 In a session of three hours the Floaters have done an inspiring check to boost their personal leadership with the creative mindset in which they become the bean and in which they have harvested together! 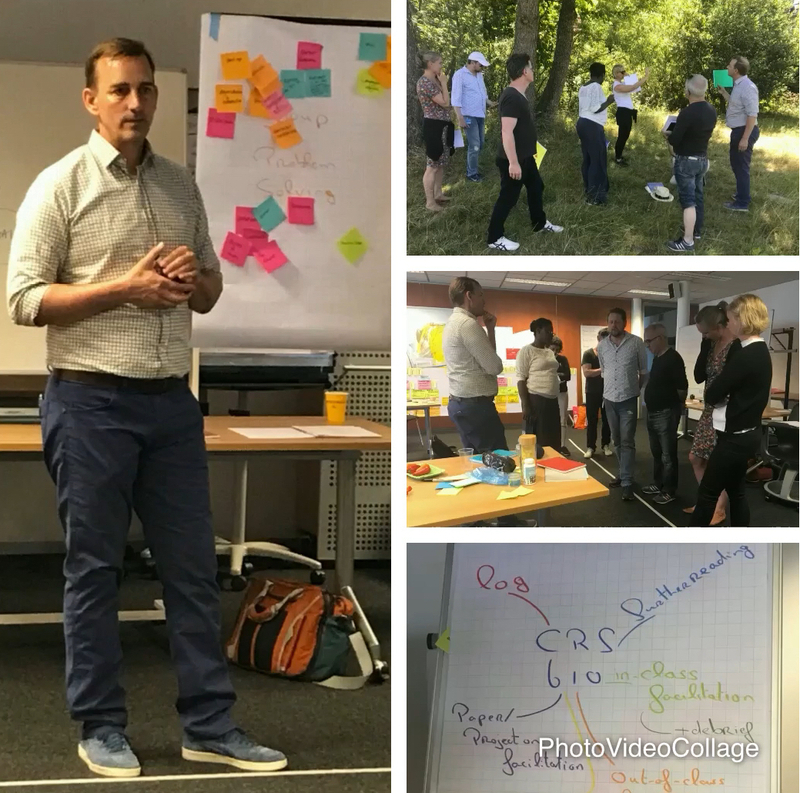 As adjunct faculty member of the International Center for Studies in Creativity (ICSC) I delivered a five days training program as part of ICSC’s Master program in Creativity and Change Leadership in Europe. This course is an investigation of aspects in cultivating creative behavior. 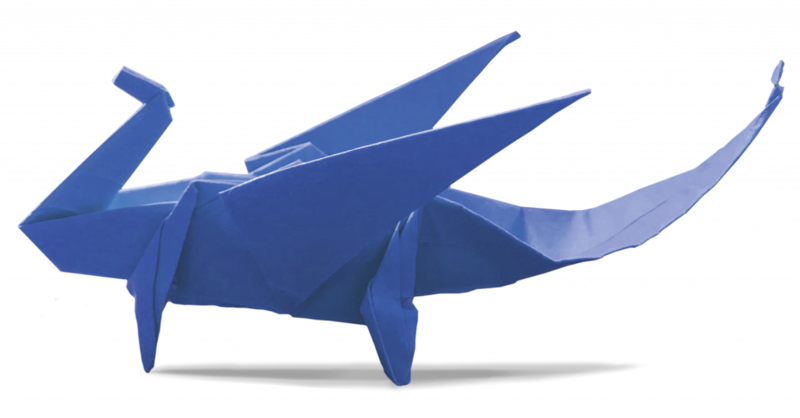 It provides advanced supervised practice in the use of effective methods and techniques for nurturing creative problem solving. The course also examines difficulties encountered by facilitators in a variety of group settings. 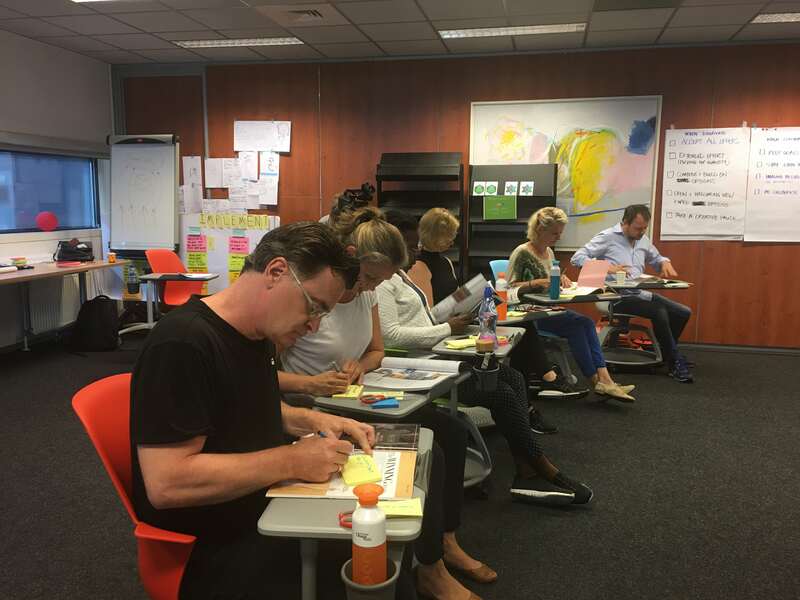 The intent of this course is to develop creative leaders who have expertise in facilitation. More information about this course you’ll find on masterchangeskills.eu.